Within each painful crack lies a sneak preview of the understanding yet to come. When we finally crack open, each piece of understanding we’ve gained reveals its whole meaning. This isn’t to make light of the many difficult things we are going through or have in the past. It gives a chance along the way to find hope and meaning. For who wants to crack their shell open only to find it empty, as if everything we went through was for nothing. There is always an understanding waiting to be reveled even if it seems minuet. “The little things? The little moments? They aren’t little.” John Zabat said. Everything matters. However, if we let our hurt, bitterness, and an unforgiving heart stand in the way. Then the painful cracking will continue hurting us, and we’ll never come to understand why. Have you ever gotten something stuck in your head that keeps playing like a broken record? I don’t usually notice it until I’m trying to go to sleep or meditate. You know like when your trying to quiet yourself down. Well the Humpty Dumpty nursery rhyme has been spinning around in my head today. So of course being the analytical person I am, gives me cause to ask…why? What’s it trying to tell me that I’m not listening too? 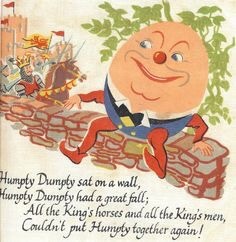 I remember as a kid listening to this nursery rhyme with a determination that there had to be a way we could put Humpty back together again. Seeing poor Humpty lying on the ground shattered, broken I couldn’t even find a way to hold him together without him oozing all over me. That’s what happens when we try to fix what’s not ours to fix. It gets all over us because we make it our problem. I can’t help it, I care about people. I want to mend, tend and help put them back together. I know it’s ok to be a caring person, but knowing my limits is just as important. Some things are better left to prayer, fate and a higher power, then what I’m equipped to handle. 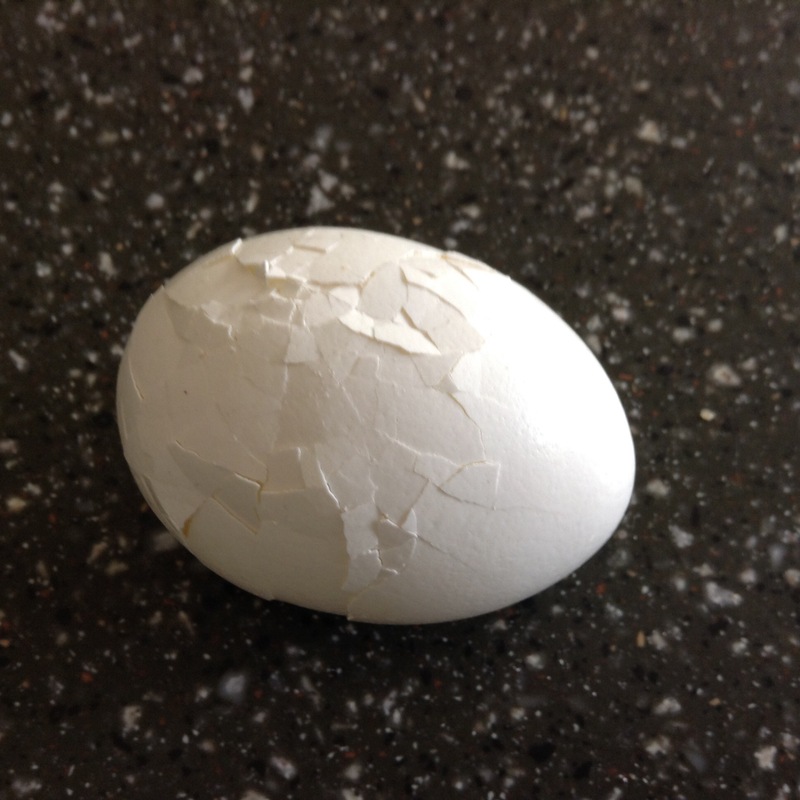 I think Humpty’s trying to tell me to let go.. and…let God.